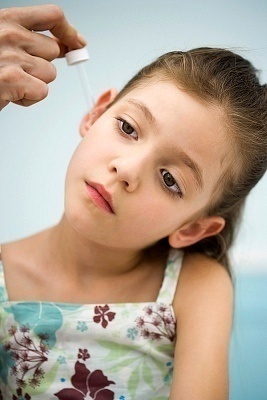 Ear infections can be quite irritating and very painful. If left without proper treatment, ear infections can lead to serious complications such as hearing loss. There are several home remedies for treating an ear infection. It is always best to consult a doctor to cure the infection if it does not clear up within 2-3 days. A well-known home remedy for ear infection is to drop 1-2 drops of onion juice or garlic juice in the infected ear. It is recommended that the juice be diluted with boiled water and cooled before applying it to the affected ear as the remedy has the potential to sting. Another option is to use 1-2 drops of warm olive oil. To reduce pain and swelling caused due to ear infections, heat a cup of salt for 2-3 minutes in a microwave. Put the salt inside a small bag or a sock and gently place it on the infected area. This will give some relief from the swelling and pain. Take a piece of cloth and dip it in warm water. Wring the cloth to remove the excess water and keep it close to the infected ear. The warmth with help to increase circulation. Make the following mixture: 3 drops of tea tree essential oil, 2 drops of lavender essential oil, 2 drops of chamomile oil and 1 tablespoon of almond carrier oil. Warm this mixture and add about 2 drops every day, in the infected ear. A warm compress can be used to provide some relief from the pain. Pus is generally associated with ear infections. Pus may be whitish-yellow in color or possibly brown, green, red or blue in appearance. To extract the pus, one can fill a small bag or sock with salt and press it against the ear. Ear candling is also used for extracting the pus. Ear candling involves placing a hollow candle, generally made from cloth and paraffin wax, into the ear of the person suffering from ear infection and then, lighting the other end to create a gentle vacuum, along with a certain amount of beneficial smoke and heat. These candles are used to remove any impurities that may be there within the ear. Herbs such as Echinacea and Goldenseal have been known to provide a cleansing effect in the body. Echinacea is a very popular herb used in the treatment of flu and colds. It is a recurrent plant that grows up to 60 centimeters in height when it matures and is used for medicinal purposes. The Goldenseal is also a medicinal herb found in the buttercup family and it is native to Eastern North America. Measured quantities of Vitamin C can also be helpful. Persons who have an ear infection are warned to stay away from dairy products since these drinks and foods have the tendency to increase the production of mucus in the body. This worsens the pain and congestion that usually comes with ear infections. The infected person can get a bowl of hot steaming water and essential oils and then drape a towel over his or her head while sitting over the bowl. The essential oils are peppermint, eucalyptus and ginger. This home remedy is known as a steam facial which aides in clearing up congestion among other symptoms which exacerbate ear infections. Another home remedy includes creating a concoction of grapefruit seed extract, tea tree essential oil and St. John’s Wort oil. A few drops of the mixture in the affected ear every few days should help alleviate the pain as well as fight off the infection. Keep the following tips and warnings in mind while dealing with ear infection. Never use a pin, pen or any other sharp object to clean your ears because this can aggravate the infection and may even cause serious damage to the ears. While using hot compress or while heating salt / rice to put inside a cloth bag / sock and applying it on the infected area, make sure that it is only warm and not too hot. Always cover your ears while going out in winter so that you can protect your ears from the chill, moist air.